This island chosen as home by over 700 inhabitants is also the holiday destination of choice for many Italian celebrities drawn by its therapeutic sulphur mud baths and steaming hot springs for the opportunity for a few truly relaxing days. 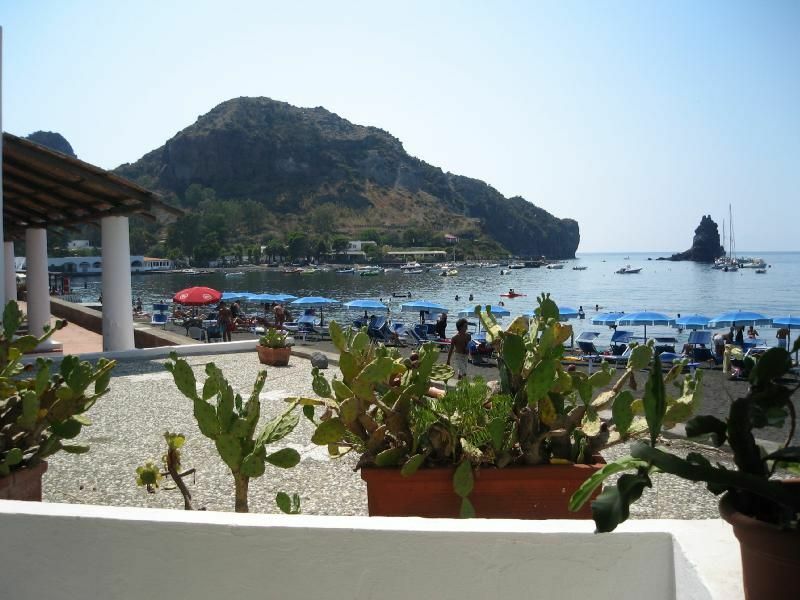 Vulcano has not the typical sites you may find on the other islands since it only offers quiet beaches on its southern coast. For centuries the island´s mud has been known for its healing properties- to cure rheumatic pain and skin diseases- which makes people put up with its bad smell! To get to the mud you have to take care not to walk on the hot springs. People submerge themselves in the warm sulphurous muddy water then spread the mud all over their faces and bodies. When the mud dries a dip in the natural water pool will remove most of it but you will certainly need a shower. And don´t wear a swimsuit unless you want that to stink forever after! Also never wear watches or jewellery or stay in the mud longer than 15 minutes due to its low levels of radiation. You can ascend to the dormant crater of the Fossa di Volcano, also called the Large Crater or just lie in the sun on the southern beaches of Gelso and Cannitello. Boats come in to Porto di Levante. To your right you will see the Vulcanello peninsula. The water front promenade heading right takes you straight to the mud baths. Continue past the little hill to find them. In the area stretching from Porto di Levante and Porto di Ponente are all the island´s facilities and Spiaggia Sabbia Nera which is a stretch of black sand beach. On the island there are three inactive volcanoes although one has continued to emit a thin line of sulphurous gases since ancient times. From the Porto di Levante you can walk to your right along the lungomare to the Laghetto di Fanghi where the mud baths are. These therapeutic pools are off the faraglione (a lofty vertical stone sticking up pointing at the sky). Mount Vulcanello is by the mud baths as is the Valley of Monsters, a valley of dark rocks which have been shaped by the wind creating grotesque shapes. Another attraction on the island is Fossa di Vulcano’s ascent. The crater is at 391 metres and is quite a climb. The first stretch of the route is signposted along Via Provinciale. Then the route goes left (unfortunately it is not signposted properly) and you have to follow a gravel track. This is the last stretch up to the crater. There is a fee to ascend to the crater and visitors should note that the volcano is thought to just be dormant rather than extinct. It is approximately 1 hour to reach the lowest part of the craters’ outer ring at 290 m. The first stretch of the walk is rather tiring on black sandy soil which later becomes more firm and clay like and finally becomes stony. It is windy up there, so dust can be a bit of a pain. Sun cream and good shoes are essential. At the mid-point you will find a café selling drinks and icecream. As you approach the crater, an observation platform allows everyone to see inside the crater. There is a path down the volcano’s crater to reach its base which is about 50 m from the crater’s edge. From the crater’s top you can view all the islands to the north of Vulcano. Beware of the vents around it for the gases are extremely hot. 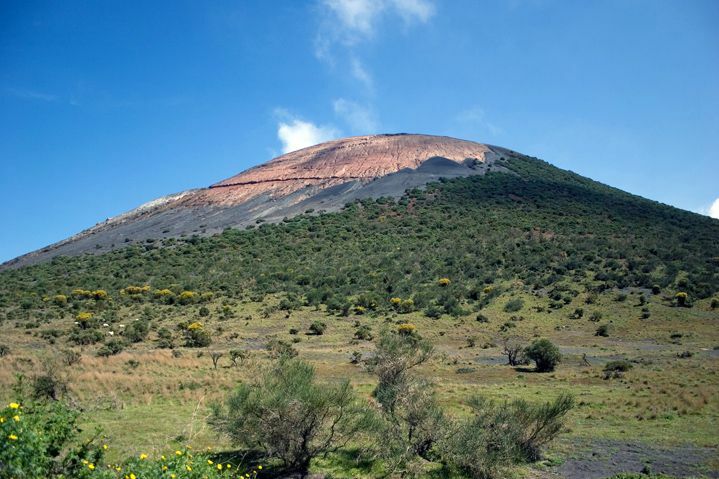 There is a tour guide available at the Gruppo Nazionale Vulcanologia.Gruppo Trekking Volcano also sets up treks to the volcano and other sights every day. 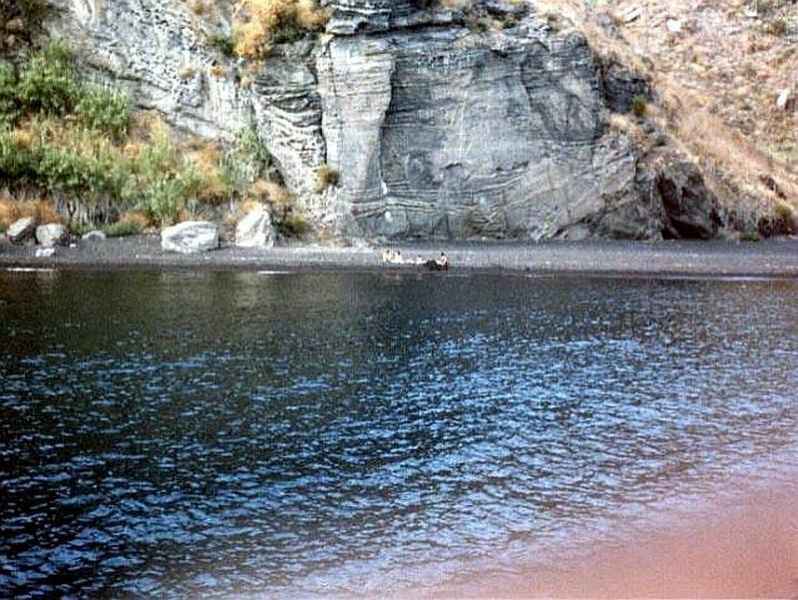 They offer climbing excursions to the Stromboli and snorkelling trips too. Spiaggia Sabbia Nera is a black sand beach situated at Porto di Ponente where there are magnificent faraglioni to admire. They resemble fingers pointing at the sky emerging from the sea. You can hire a paddle boat to make the most of your stay on this beach. Gelso is on the south of the island on the waterfront. Its port and beaches are famed for their tranquillity and for being almost deserted. You will find a small restaurant and some accommodation here. Near these beaches are another two fantastic beaches which are little known to tourists and only accessible via a footpath. They are completely different from each other- the first is Spiaggia dell’Asina which is a black sand beach with clear water. Spiaggia Cannitello is covered in tropical vegetation. Both beaches have a simple café where you can hire sun-umbrellas and sun loungers. Both beaches are a bit far from the port but the walk is well worth it. Both bus or boat trips around the island may cost 12 euros. Gioielli del Mare at Porto di Levante offers bus tours (reservations necessary) and Pino and Giuseppe on Via Comunale Levante and Gente di Mare offer boat trips. At the tourist office on Via Provinciale off the dock you can get further information also covering accommodation options. Ritrovo Remigio at Porto di Levante‘s speciality is cannoli, which is delicious and always freshly made. The restaurant is beside the port. For something different visit Cantine Stevenson on Via Porto di Levante. It is decorated in a Scottish style since it is owned by a Scotsman who purchased a large expanse of the island in the 1800s and brought the first vineyard to Vulcano. You can sample his wines here. Trattoria Maniaci Pina is an atmospheric trattoria decorated in a traditional style with blue chequered tablecloths and wooden tables. Its menu lists simple but tasty dishes. Da Maurizio on Via Porto di Levante is situated in a beautiful well tended garden and is well liked on the island. The cuttlefish pasta is a delight. Da Vicenzino on Via Porto di Levante is located off the port and serves hearty servings of quality food in a welcoming atmosphere. Caffé Piazetta on Piazetta Faraglione serves ice creams and drinks to be enjoyed with music. In high season live music concerts are organized in the evenings. BY SCOOTER: this is the best way to get to places such as Gelso. Da Paolo and Sprint hire bicycles and scooters. They are at the corner of Via Provinciale and Via Porto di Levante. They also rent cars. BY BUS: Vulcania Tour Bus serves the area around Gelso and can pick you up at the beginning of the dirt track. Departure times for buses from Gelso’s pier are 11 am, noon and 5 pm. There are 7 buses serving Porto di Levante-Piano and Capo Grillo (Mon-Sat). There are two services on Sundays and public holidays. BY BOAT: there are boat tours which stop at Spiaggia dell’Asina and Cannitello but all passengers get off at Gelso. You can also rent a boat at Centro Nautico Baia di Levante by the hydrofoil dock.